This Veggie Egg Scramble recipe is very hearty and works for any meal of the day. Eggs are a great source of lean protein and B vitamins and the vegetables add a healthy amount of fiber and vitamins, as well. 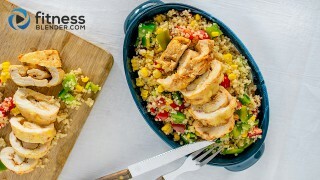 This recipe is low in sugar and calories, but high in protein, which makes it very filling. It is also a good source of selenium, phosphorus, pantothenic acid and Vitamins C and A. Briefly heat the cooking oil in a fry pan. Dice all of the vegetables and toss them in with the oil at medium heat. Add your spices here; you can either do a spicy version with cumin and cayenne pepper, or Italian seasoning. Cook the vegetables until they reach a consistency that you like. Scramble the eggs in a separate bowl. Lowering the temperature just a bit, add the eggs to the fry pan with the cooked vegetables and stir until they are cooked thoroughly. 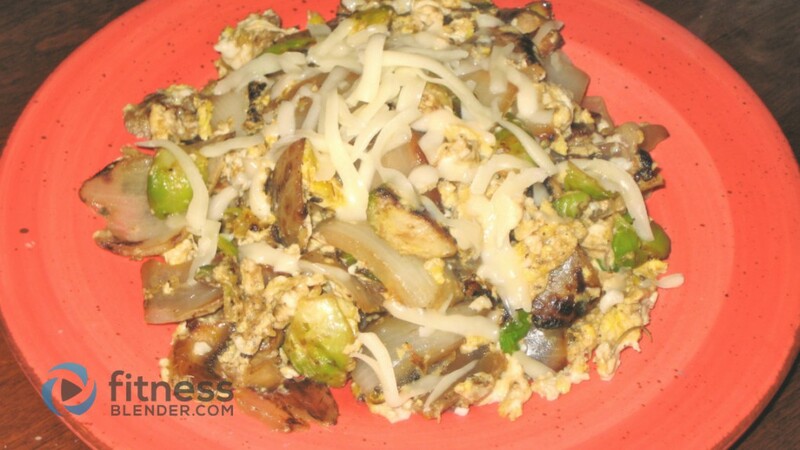 This is an easy to make scramble that is perfect for an after workout meal. One of the best things about the recipe is how versatile something like this is. If you don’t have the specific veggies or spices that are listed above, you can easily improvise and still pull off a dish that is healthy and tastes great. Healthy scramble recipes go well with toast, a side of beans or quinoa, or fresh fruit. If you want your dish to be a bit more decadent, you can always sprinkle a little shredded cheese on top!